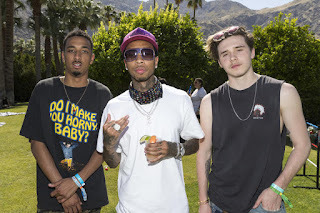 Tyga has new music on the way soon! Tyga has been a busy man as of late and he's about to reward his fans' patience with more new music. The rapper announced on Twitter yesterday (June 17th) that his upcoming album is done and that he's just waiting "on a few samples to clear." He also said he promises the listening experience will be "worth it." Fans were quick to respond with their enthusiasm, basically asking Tyga to just drop the album already. No official release date has been announced yet, but if the record is being finalized as we speak, it shouldn't be too much longer. With a couple of strong singles already out, there's no doubt that this Tyga still has his stripes. We can't wait to listen to it, will be a masterpiece!